Waking up to a perfect cup of coffee is one of the best experience every morning. This makes coffee makers a great investment. But if you’re the type of person who likes trying out different types of coffee drinks, having a coffee maker with a built-in grinder is the best option. Coffee makers with built-in grinders come with the best technology. They are able to make coffee taste better and yummier. Aside from that, there are other advantages you can get from these coffee makers. If you are wondering what makes it a great investment, here are some of the benefits of having a machine with its own grinding mechanism. Average automatic coffee makers are easy to use but if you choose one with a grinder, the level of convenience you’ll experience will level up and it will give you a cup of coffee that is superior to your average cup. 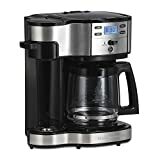 These types of coffee makers come with convenient features that are not found in other types such as different grind settings, warming plates, and automatic shut off. 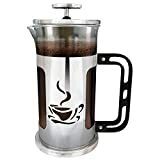 By using this type of coffee maker, you do not have to put a lot of effort on it, you just need to put in your favorite whole beans and let it do all the work. The best coffee maker with grinder models comes with a burr grinder that allows you to have more control over your finished cup of brew. These coffee makers will also enable you to choose the size of the grind which will help you determine the strength of the brew. If you’re into strong flavored coffee, you can set it into a finer grind. But if you want a cup of coffee that is tasty but not so bold, go for a coarser grind. Aside from setting the size of the grind, coffee makers with burr grinders can also produce grounds that are uniform in size, unlike blade grinders that produces grounds with uneven sizes. Having uniform grinds will prevent the grinds from interfering with your coffee experience. The finer the grinds are, the better they taste eventually. However, machines that can give you the best grinds can be pricey, but it depends on you on how much you are willing to invest for a perfect cup of coffee. This is one of the best features that coffee makers with grinders can offer. Most of these types of coffee makers are highly programmable. Meaning, you can set them to brew the exact amount of coffee you need. Some models also come with digital clock timers as well as pause and serve function. 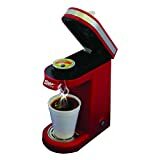 These coffee makers will also enable you to adjust the strength of coffee extraction. In short, the entire process can be done the way you want it. These programmable functions make it best for busy people who crave for a delicious cup of coffee. As mentioned above, one of the features most coffee makers with grinders offer is the automatic shut off. If you’re always on the go and you tend to forget to turn off your coffee maker, this type of coffee maker will turn off on its own. Some have the auto shut-off option of 0 to 4 hours, making it a great electricity saver. Also, if you’re home for longer hours, you can adjust its auto shut to longer hours. Coffee makers with grinders usually come with the brew-pause option. Meaning, you have the choice to set the cup options to a certain number of cups. You can pause the brewing process whenever you want or if you’ve already taken the number of cups you need. You can even set it to a bigger number of brews and you can still stop it midway. You also don’t have to worry about leftovers because it can keep the coffee hot for many hours, making it easy for you to serve the next cup when your guests want it. Some coffee machines give out coffee that taste stale. It’s either because the machine needs some cleaning or old coffee beans were used. Most of the time, old pre-ground coffee is the reason for this. But if you choose to grind your own coffee beans, you will be able to avoid this scenario. Using a coffee maker with a grinder will ensure you to have a fresher tasting drink. Once you try grinding your own coffee beans, you’ll be able to compare the taste between it and pre-ground coffee beans. The flavor of coffee depends on how much of its oils can be extracted during the brewing process. Once the beans are ground up, the aromatics and volatile compounds in coffee are exposed. This is the reason why pre-ground coffee goes stale faster than whole beans. But if you use a coffee maker with its own grinder, you will be able to process whole beans right before brewing, giving you a more flavorful freshly brewed cup of coffee. Having a coffee maker with a grinder truly has a lot of benefits. If you own one, you will be able to create anything, from a Columbian blend to French vanilla by just using whole coffee beans. Nothing beats waking up in the morning with a cup of coffee that is freshly ground and brewed.